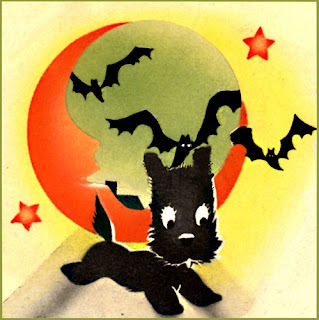 Just a short post to wish you a very Happy Halloween! If you have pets, do they enjoy dressing up? What do they think of the holiday? I am not so sure about Halloween. It involves lots of knocking at the door, which I am not wild about. I usually spend time in my bedroom listening to some relaxing music. I don't mind dressing up (upon occasion!) and you'll see a picture of me in my angel costume just above. 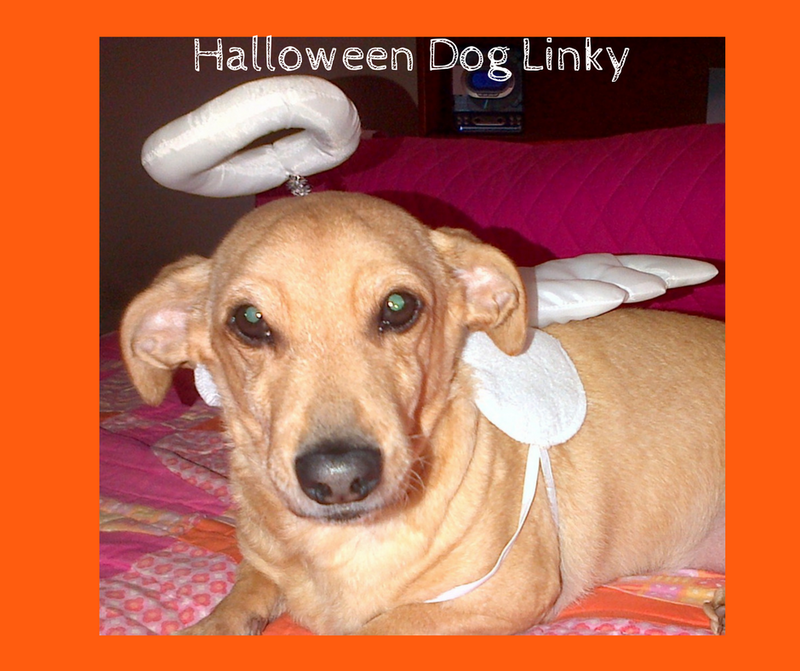 Today I would like to share a few fun Halloween links with you from previous years at my blog. Vintage Halloween Dogs features lots of vintage illustrations, cards and photos of dogs on Halloween! 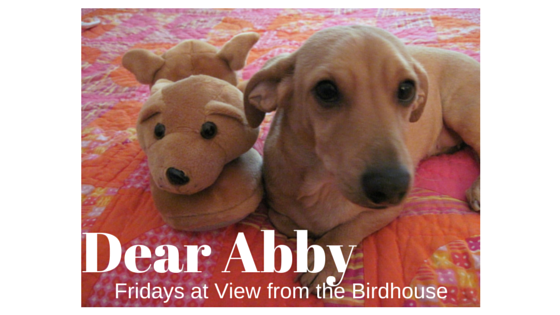 Pets in Halloween Costumes features me and some of my friends dressed up for the holiday. 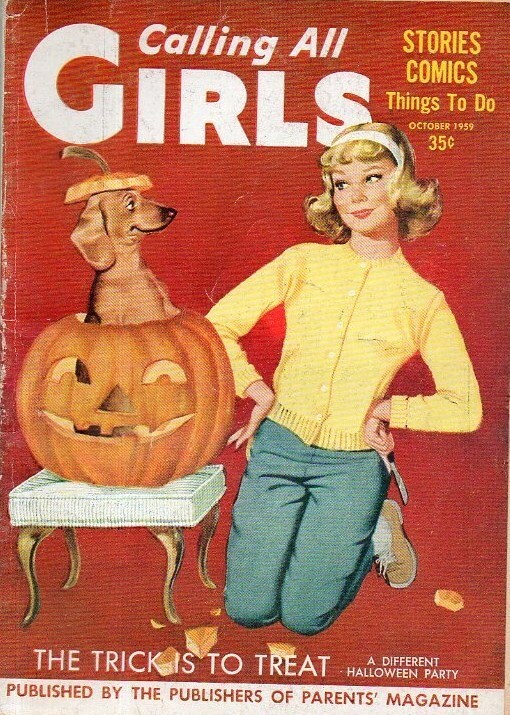 Calling All Girls: Halloween Covers features vintage teen magazines with dachshund illustrations on the cover. I hope you enjoy these links, and wish you a very happy Halloween! I'd love to hear from you in the comments, below. 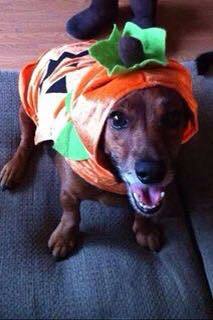 My pets do not like costumes at all but I wish they did! I think they're probably going to be hiding under the bed while we're handing out candy! So so cute! I saw so many cute dog halloween costumes at target! I love them! Awh!! They are sooo cute! I'm not dressing my cat up this year, but I want to in the future! My one dog is black and white, so he wears a red collar to dress as Snoopy. The other two love wearing clothes, and one dresses like a pumpkin every year! My mom's dog is always wearing cute outfits. I don't think she has one of these, though. Gotta get on that! What a cute post! I Love the idea of dressing your dog up for Halloween. What a cutie doggy angel. :) My cats aren't crazy about all the door knocking and people hanging around on Halloween either. Thanks for visiting my blog! I loved reading your comments (especially about your pets!). Hope your Halloween was fun with all TREATS and no tricks!